This week, the House of Representatives passed H.R. 2061, the Digital Accountability and Transparency Act of 2013 (DATA Act), completing the final step before President Obama can sign the bill into law. A companion version of the bill, S. 994, cleared the Senate on April 10, 2014. The DATA Act will standardize and publish much of the federal government’s financial reporting and spending data in machine readable formats. This will enable government oversight bodies as well as the private sector to conduct large-scale analysis on the data, helping fight fraud, and spur the creation of new businesses. In celebration of the bill’s passage, the Data Transparency Coalition hosted the Data Transparency Summit in Washington, D.C., on April 29. The summit focused on the benefits of the legislation and turned an eye toward future implementation. The day began with a legislative panel featuring DATA Act sponsors Rep. Darrell Issa (R-CA), Sen. Mark Warner (D-VA), and Sen. Rob Portman (R-OH), who discussed both the specific applications the legislation will enable, including more efficient procurement and program evaluation, as well as the general promise of data-driven governance across fields ranging from health care to education. Rep. Issa stressed the bipartisan nature of the bill, arguing that the federal government could eliminate the vast majority of the national debt without cutting effective programs by using data to increase efficiency. Senator Warner called on the public to “hold [lawmakers] feet to the fire” to ensure effective implementation and maximize the act’s benefits. Industry leaders commented on the ways in which the legislation would improve government efficiency by enabling industry to offer new automated compliance and reporting software. 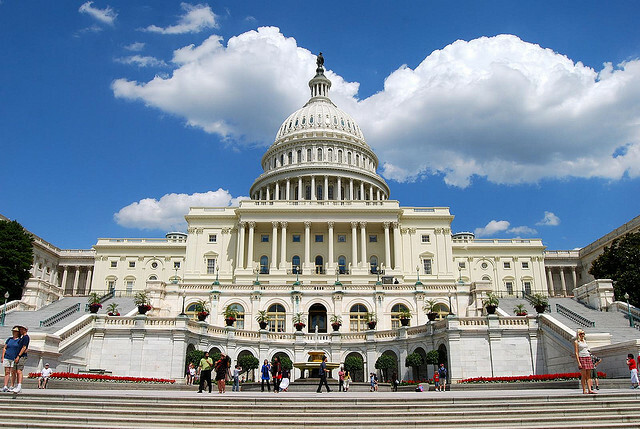 Dan Mintz, executive director of the Advanced Mobility Academic Research Center, made the point that the legislation’s data standardization provisions would free government agencies that use third party reporting software from vendor lock-in. In the breakout session on compliance, state officials discussed the opportunities and challenges the legislation poses for grant recipients. Cornelia Chebinou, the Washington director of the National Association of State Auditors, Comptrollers and Treasurers reminded the audience that 80 percent of federal grant funds go to or through state governments, so the legislation will have a major impact at the state level. Chris Connor of the Wisconsin Division of Budget and Finance expressed hopes that the legislation would ultimately simplify compliance for local grant recipients as well. Ramesh Advani, director of federal grants at Massachusetts’ Office of Commonwealth, Performance, Accountability, and Transparency, called for greater collaboration among states now that a standard data format will allow data to be shared more easily. This would allow states to evaluate potential grant recipients based on their effectiveness in other states, and help state officials develop best practices based on successful programs outside their jurisdictions. Still, the state officials concurred that they will have to work closely with the federal government to ensure that any difficulties implementing the DATA Act’s provisions will be addressed. The DATA Act, which has overcome stiff opposition since its initial drafting in 2011, represents a major step forward in federal data governance, but there is still more work ahead. Federal, state, and local authorities will need to work together to ensure that government agencies, the private sector, and the public reap the maximum benefit from this landmark legislation.